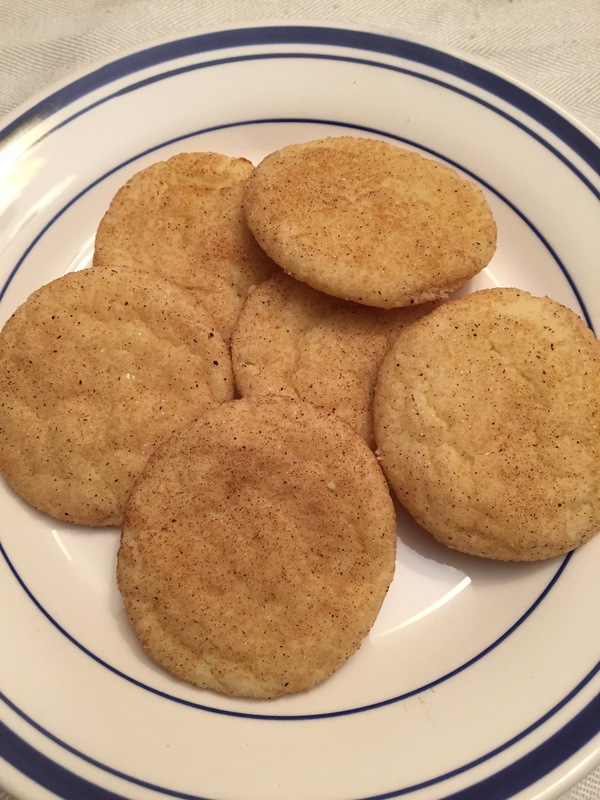 Snickerdoodle Cookies – From City Girl to … Country Girl? So my mom used to be a part of a group of ladies who would do a cookie swap. I love the idea. They would get together and each bring a different kind of cookie and swap out so they would all go home with a ton of options. My mom would take the snickerdoodles. One of her favorite kinds of cookie. Well she and her friends still get together for the party but it is now an un-cookie party. They stopped swapping cookies because kids grew and I am guess they didn’t want all those cookies sitting around. I know I sure wouldn’t if I didn’t have a mini cookie monster. Well my mom and her one friend still swap cookies. This lady would make the peanut butter blossoms and mom would make the snickerdoodles. Then it became mom was crazy busy with stuff and I loved to cook/bake and I offered to help her make the snickerdoodles. I think one year I was at the family friends house and I helped make the peanutbutter blossoms too! I loved it! So her friend was is traveling over the holiday season so they didn’t swap cookies this year. But I still made the snickerdoodles because it isn’t Christmas to me without them! So we split the butter with shortening. Beat that mixture until light and fluffy. In a separate bowl sift together the dry ingredients. Slowly incorporate the dry ingredients but do not over mix. Roll into balls, roll in cinnamon sugar mixture, and place on a parchment lined baking sheet. Bake for about 8 minutes. These cookies should not be brown, only set. They flatten out a little as they bake and while cooling they will finished flattening out. Beat the shortening, butter, sugar, eggs, and vanilla thoroughly. Sift dry ingredients together in a separate bowl. Then slowly incorporate the dry ingredients but do not over mix. Roll into balls the size of small walnuts. Then roll balls into sugar and ground cinnamon mixture. Place on a parchment lined baking sheet. Bake 8-10 minutes. You don’t want the cookies to brown, just set. They will puff first then flatten out.